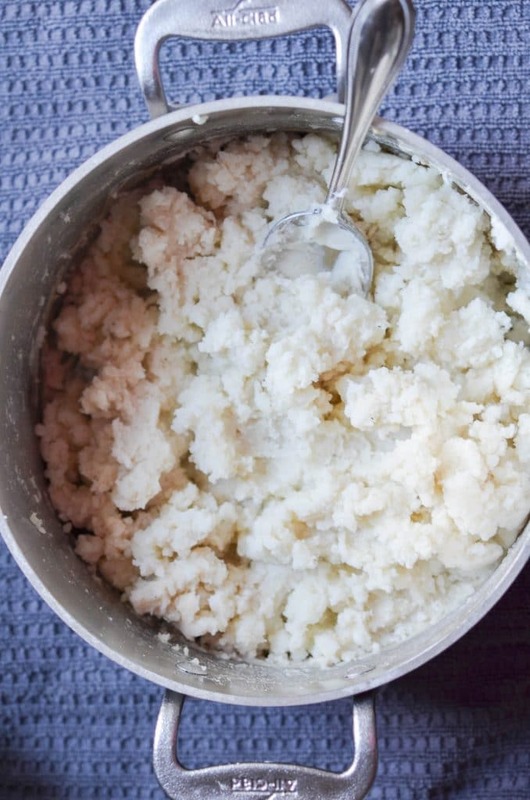 The BEST Whole30 Mashed Potatoes That Are So Easy! 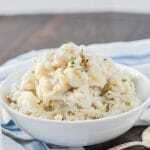 Home » Side Dish » The BEST Whole30 Mashed Potatoes That Are So Easy! 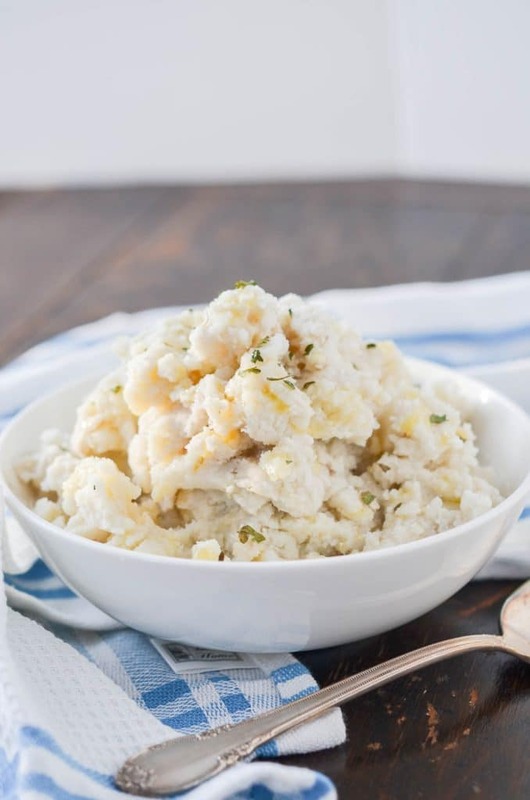 Whole30 Mashed Potatoes is an amazing side dish, with just a few ingredients, is uncomplicated grain-free, gluten-free, and Paleo. 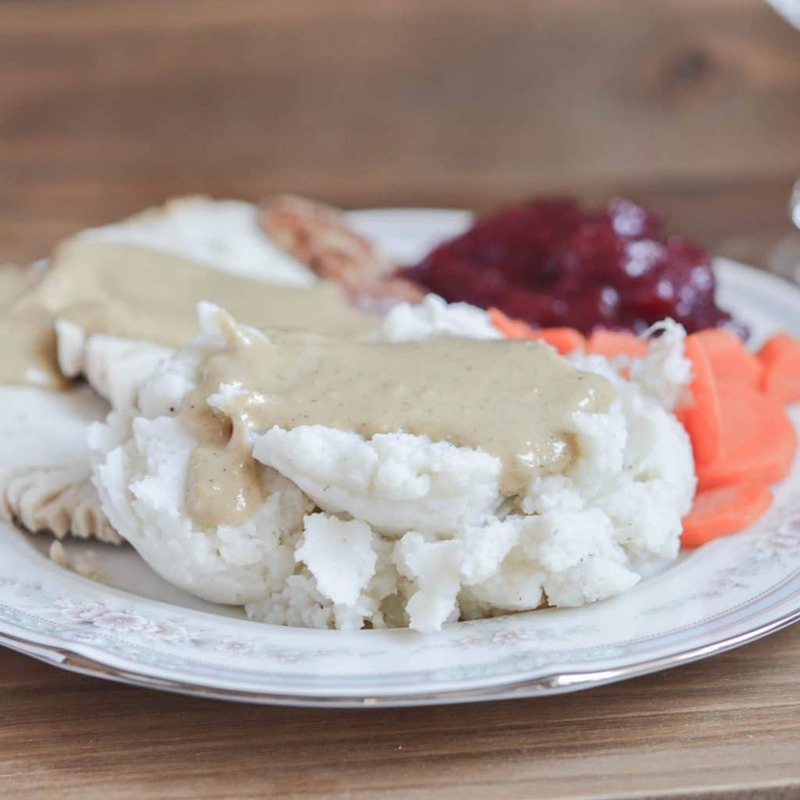 Best of all – mounds of fluffy, flavorful, mashed potatoes even better than the traditional I remember so well. For dairy-free – see notes below. After starting a grain, gluten and dairy free lifestyle almost four years ago (wow, time flies! ), I remember how disheartened and anxious I felt. What would happen to the holidays? 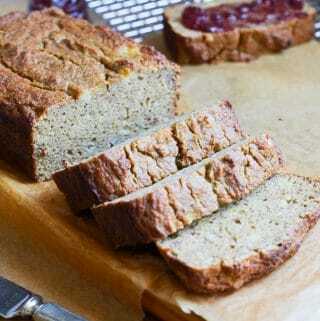 While the beginning stages are stressful and full of learning what foods have gluten, it does get easier. And, as time goes on, I have many recipes compliant and delicious for this lifestyle. 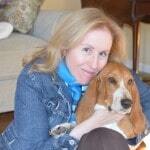 Recipes I truly love. Ghee (For dairy-free, omit or substitute with olive oil). Garnishes: chopped chives, parsley, chopped bacon bits. 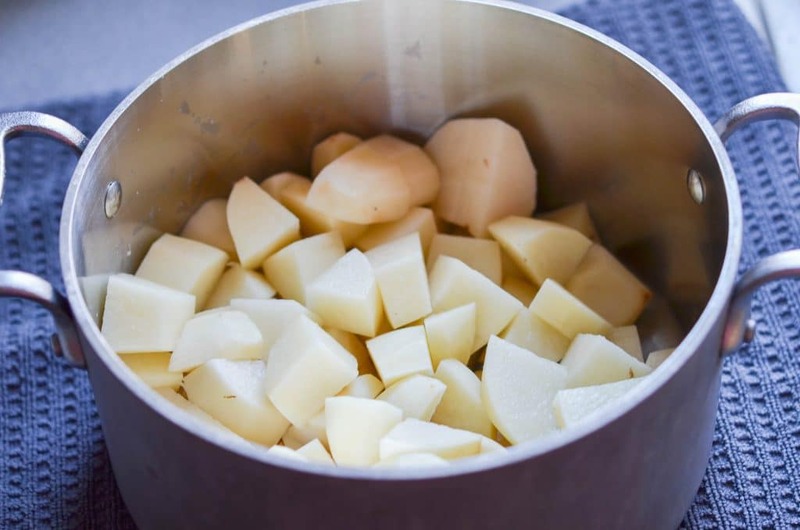 Russet potatoes peeled and cut into cubes in the sturdy pot. Cut potatoes cubes covered in cold water. Use a good quality ghee (make your own with a DIY Ghee recipe, or store-bought ghee. A potato ricer will make creamy smooth mashed potatoes, while a masher will make country style or rustic potatoes. 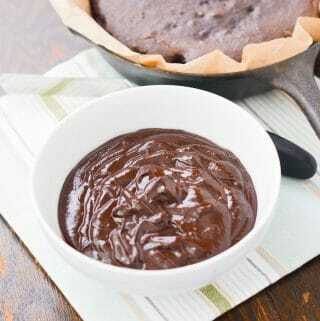 (Both are delicious, however, in this post I use the ricer). Start with cold water. 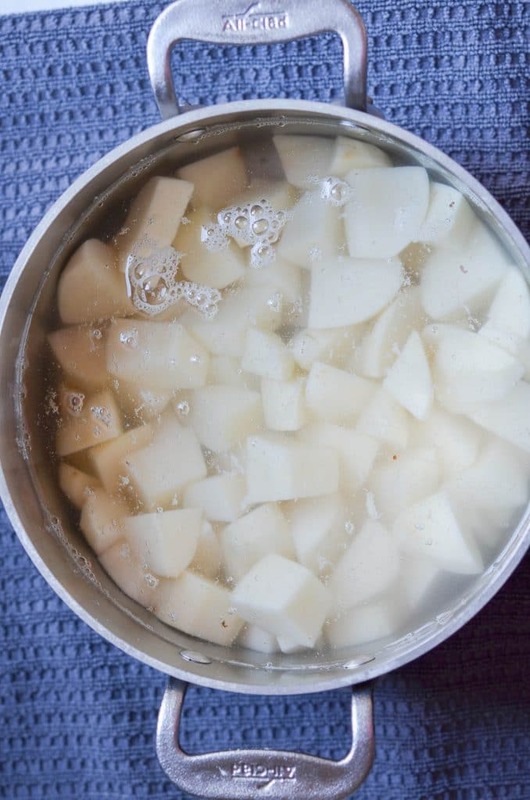 Put cut potatoes in a sturdy pot and cover with cold water. (As opposed to putting cut potatoes in boiling water). Add warm cashew cream, almond milk etc… One of the secrets to getting the creamy texture is using warm (vs. cold) ingredients. Do not be tempted to use a food processor or blender or you’ll end up with gummy textured potatoes. In the above photo, all the cooked potatoes have been run through the potato ricer. In the below photo, the ghee, cream and salt, and ground pepper have been added. Paleo Mashed Potatoes with ghee, cashew cream, salt and ground pepper have been added. 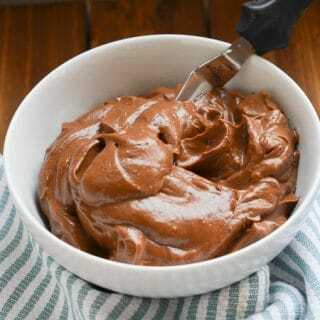 Use a quality cream substitute. In this recipe, I am using Cashew Cream, although for this recipe the water is adjusted to 1/2 cup. Unsweetened almond milk also works well with mashed potatoes. In a pinch, you could make mashed potatoes with water, but it is not as creamy or flavorful, in my opinion. Whole30 Mashed Potatoes in serving bowl with sprigs of thyme as garnish. For Thanksgiving, these mashed potatoes were enjoyed with a delicious and simple Paleo Gravy, a recipe I hope to post soon. Oh, how I love when traditional recipes turn out even better with healthier ingredients! 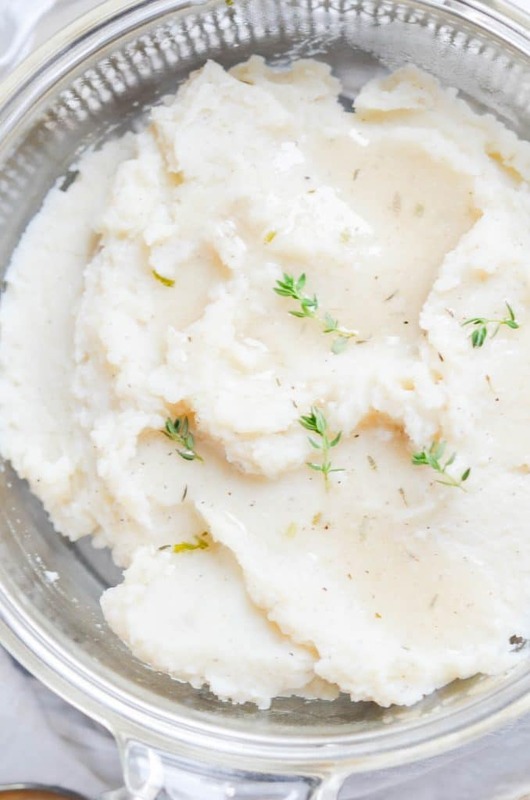 How to make super easy but fluffy and flavorful Whole30 and Paleo Mashed Potatoes! Sure to become your favorite recipe! 2 tbsp ghee (For dairy-free, omit or substitute with olive oil). Put the cashews in a bowl and cover with water. Soak in water for at least 4 hours. Once the cashews are ready, peel and chop the potatoes into cubes. Try to chop all the same size. Put potatoes into a sturdy pot, add the potatoes and cover with cold water and 1/4 teaspoon salt. Bring a pot of water to a boil and then reduce heat to a simmer (Medium-low) for about 20 minutes until potatoes are fork tender. While the potatoes are cooking, prepare the cashew cream. Drain and rinse the cashews. 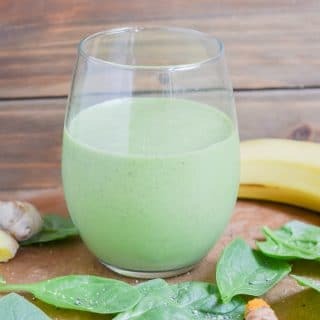 Place the cashews in a blender with 1/2 cup water and blend for about 2 minutes until very creamy. Set aside. Once the potatoes are cooked, drain the water. 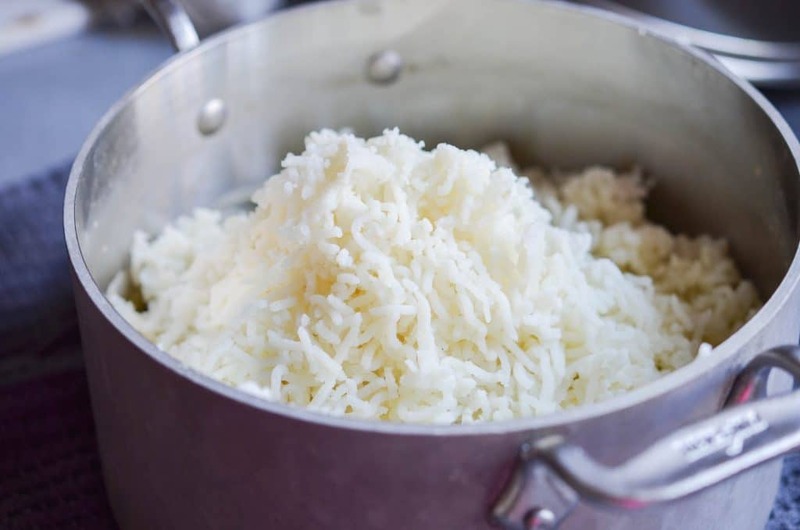 Once the cashew cream and ghee is melted and warmed, add the potatoes to this pot by using a ricer. Add 3/4 teaspoon of salt and stir the riced potatoes, cashew cream and ghee together until just mixed. Do not overmix. The potatoes will be fluffy. For more rustic potatoes, you do not need to use the ricer. 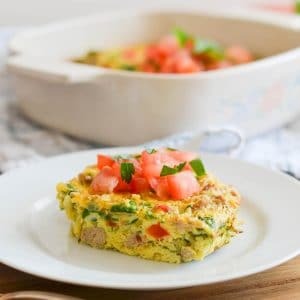 Scoop potatoes into a serving dish and add 1 tablespoon melted ghee to the top, along with any garnishes, such as chopped bacon bit, chives, parsley. *Add more liquid if potatoes are too thick for your taste. 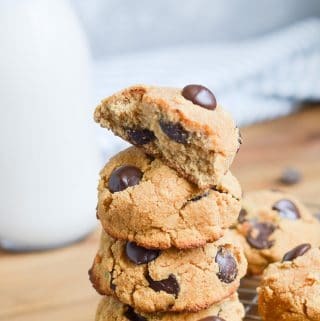 Heat some non-dairy milk, such as almond milk and pour into potatoes until desired consistency. 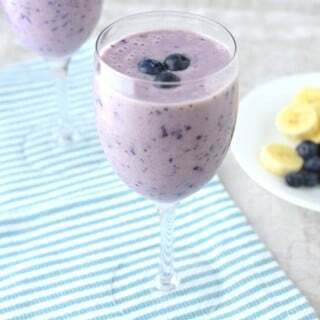 Previous Post: « How To Make A Chocolate Banana Smoothie! I made them and they came out really good. 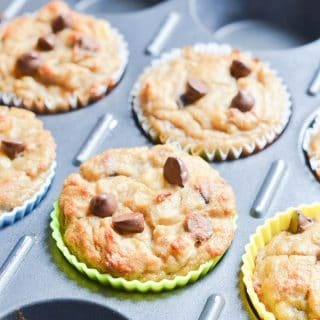 And I baked the leftovers and they were fantastic too!